Learn more by browsing our most commonly received questions. Still can’t find what you’re looking for? Get in touch with someone from our team here. Yes, we do! You may incur customs fees on your order, but there is no duty because of NAFTA. Learn more about our shipping, tracking and return policies here. Yes, we do too! Contact us prior to ordering for orders outside of North America for the correct shipping rates. 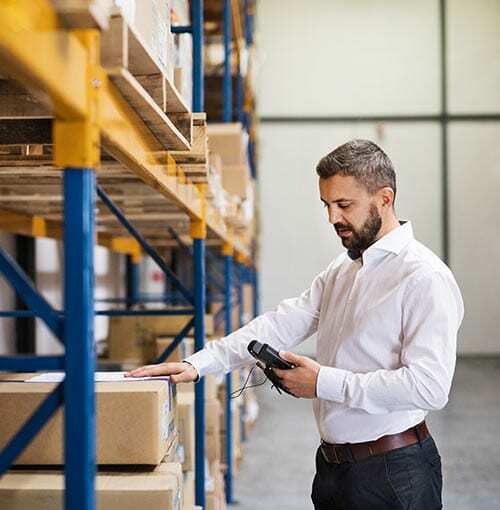 If you are in Europe, Asia or even South America, the duties charged will vary and you will be responsible for all duties, taxes and customs fees. Learn more about our shipping, tracking and return policies here. Do you sell water pre-filters when refilling a hot tub? Yes, you can find the water pre-filter here. What do I need to replace a hot tub pump? Most of the information for replacing a spa pump can be found on the existing pump label. You will need to know the frame size (48 frame or 56 frame), voltage (120v or 230v), plumbing size (usually 2 inch, but sometimes 1 1/2 inch or 2 1/2 inch or even 3 inch), HP or horsepower. This information can be found on the broken pump’s label. A pump can be exchanged with the same brand and type, or different brand as long as the specifications are the same. Call us if you need assistance with finding the right replacement pump. Some of our Master Spa Pumps are compatible with Waterway, Aquaflo and other brand name hot tub pumps, but we also carry the brands. To find out your spa’s plumbing size, you can measure the outer diameter of the threaded pipe on the pump wet end and use the chart below. Finding out the frame size is just a matter of checking the distance between the through bolts from the motor side of the pump. The 4 through bolts are long and connect the dry end (motor) to the wet end of the pump. Don’t remove them, but just measure between any 2 adjacent bolts. If the distance is under 4 inches, then it is a 48 frame pump, if the distance is over 4 inches it is a 56 frame pump. Most of the information including frame size, pump voltage and horsepower can simply be read from the sticker/label on the existing pump motor. This will speed up the time necessary to gather your pump’s details so you can find a suitable replacement. Make sure the plumbing size is the same so the connectors on both ends of the pump will match up to your existing plumbing. 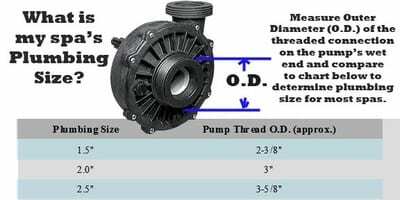 There are center discharge pumps and side discharge pumps. The side discharge pump wet ends can be rotated by 90 degrees to line up with your particular plumbing configuration. Whenever you have any questions contact us by email or phone and we will help you source the correct pump. Save by viewing our list of pump products or call The Hot Tub Superstore customer service to buy a replacement spa pump or motor. 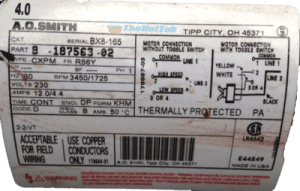 Complete your spa repair by replacing the correct equipment with helpful information from TheHotTubSuperstore.com. Be sure to order the correct size pump by first determining if your pump is a 48 frame or 56 frame size pump. The union connections on both sides of the pump will match up to your plumbing threads if you measure the diameter of your plumbing connections. The Hot Tub Superstore stocks most popular hot tub pump brands from Jacuzzi replacement pumps, Sundance spa pump replacements to Arctic Spas, Beachcomber hot tubs and other manufacturer brand spas. 1 Speed, 2 Speed or Circulation Pump? Determine whether your pump is 1 speed or 2 speed and if the operating voltage is 115v or 230 volts. You should also replace the pump with a similar type horsepower rating. This is usually found on the pump label. The cost of a replacement pump can vary widely depending on where you source the pump. The Hot Tub Superstore website and online store allows you to select the right pump for the job and also offers alternative or generic discount spa pump brands as well as discounts on name brand pumps. When replacing the hot tub pump, don’t forget to either reinsert the o-rings in each of the 2 pump connection unions, or use 2 new o-rings. These prevent the pump from leaking at the unions. Spa pumps can be installed in an in-ground application or in a portable spa. You won’t need to pay for expensive postage because shipping is free on most spa pumps at Canada’s TheHotTubSuperstore.com. 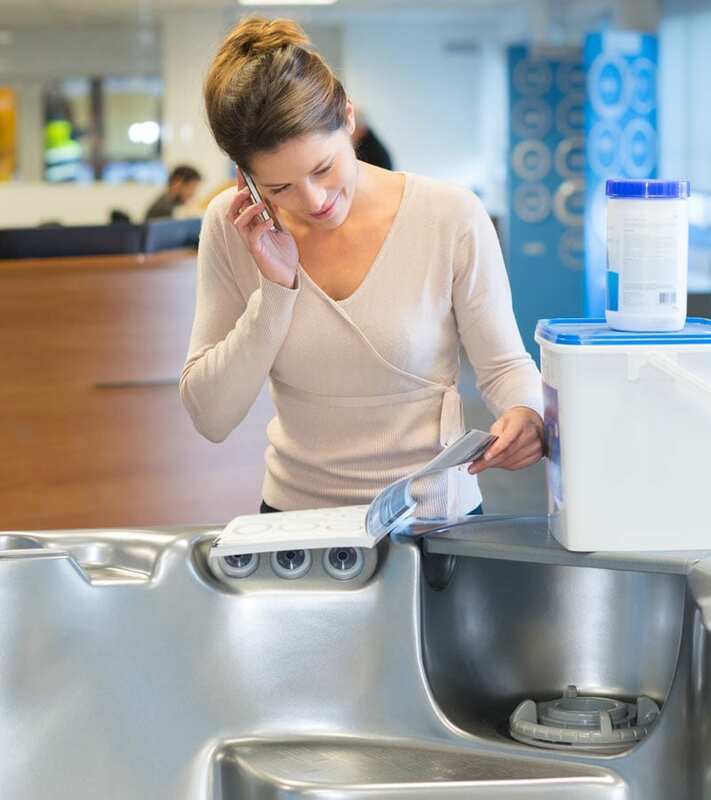 If you need tips or help on solving additional problems, call our help desk for immediate assistance in determining what spa pump will work for your particular hot tub model. Mounting the spa pump is usually accomplished with hot tub mounting screws or bolts that either bolt to a hot tub mount, pedestal or directly to the hot tub floor. Mounting a hot tub pump on a mounting plate that is designed to minimize vibration can help reduce pump noise if you are having issues with a loud or vibrating pump. 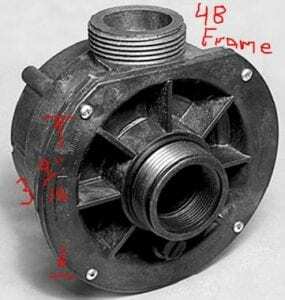 It is important to match the old pumps specifications so that the replacement will go smoothly. Note that most pump wet ends can be rotated in 90 degree increments to line up with your particular pump mounting requirements. Once it is determined that the pump is bad, you will want a quick replacement. Our commercial warehouse has a huge stock of pumps ready for immediate shipment. We also inform you by email once your pump has actually shipped, usually within 24 hours of receiving your order. Popular spa circulation pumps include Laing and Grundfos circ pumps. These circ pumps quietly operate 24 hours a day keeping spa water circulated. The circulation pumps suction connection usually comes from the skimmer where it pulls water through the filtration system. Aqua Flo Flomaster pumps are a popular pump brand as are Waterway spa pumps. Find the most popular spa pump brands in our 48 frame spa pumps or 56 frame spa pumps section. When sourcing a replacement pump, note the difference between the hot tub brand (for example Beachcomber Spas), the pump brand (for example Waterway or Aqua-Flo) and the pump motor brand (for example ao smith or magnetek). Since hot tub manufacturers do not manufacture their own pumps, you will find a replacement pump either by replacing the exact pump model and searching on the pump brand, or by replacing the pump with one that has similar specifications. International Spa Pump Orders – 50hz vs. 60hz. If you are in North America you will receive a 60hz pump. Just be sure to determine if the pump is 115-120 volts or if it operates at 220-230 volts. Note that even though a spa may operate at 230 volts does not necessarily mean that the pump is operating at 230 volts. The required operating voltage is specified on the pump label. If you are sourcing the pump for international use, you may require a 50hz pump instead of 60hz depending on the line frequency in your country. For the availability of 230v/50hz export pumps, please call our service desk. If you just need pump parts instead of a complete pump, such as a volute, impeller or complete wet end, please browse our pump parts section. 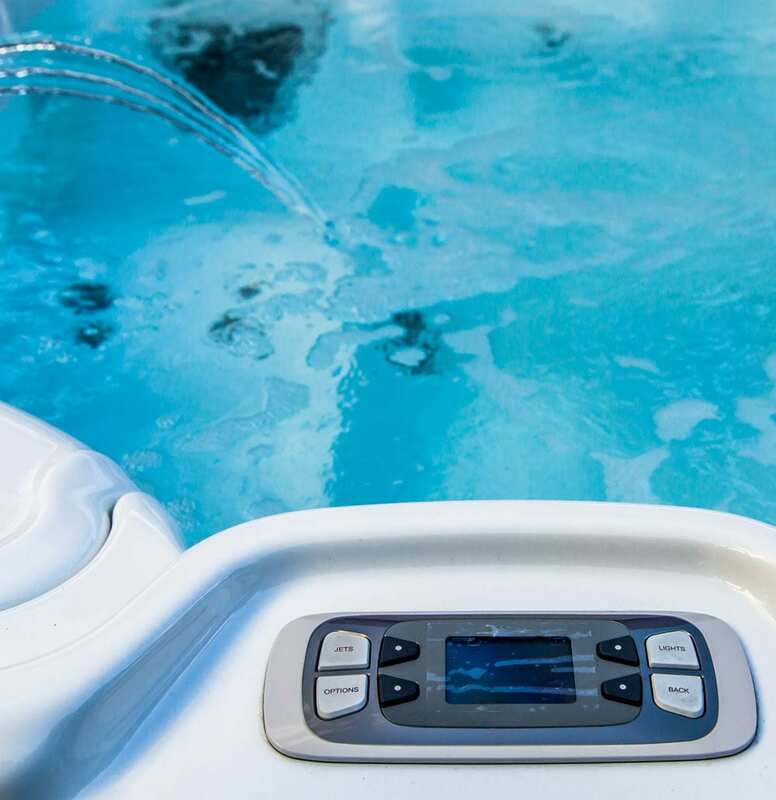 Get the power back on in your spa fast by relying on Canada’s The Hot Tub Superstore with years of experience solving hot tub problems and providing spa parts across Canada. Do you have filters for my spa type? We stock filters for most spa types. Contact us with questions or see our Master Deluxe filter line. What kind of hot tub parts do you have? The Hot Tub Superstore ships thousands of spa parts including pumps and pump parts, filters, plumbing parts and jets, hot tub accessories, cover lifters, spa packs and controllers. Whatever you need for your hot tub, we can ship it or help you find it. Whenever you need hot tub parts in Canada, browse our site, enter the item you need in our search box or contact us for additional assistance. Are you a do-it-yourself-er looking for information about a hot tub repair project? Explore our how-to articles, troubleshooting guides and more here. No Code Means there is no message to display. The power was shut off to the hot tub. GFCI breaker is still on, however, control panel displays blank. Fuse(s) to system is/are blown. 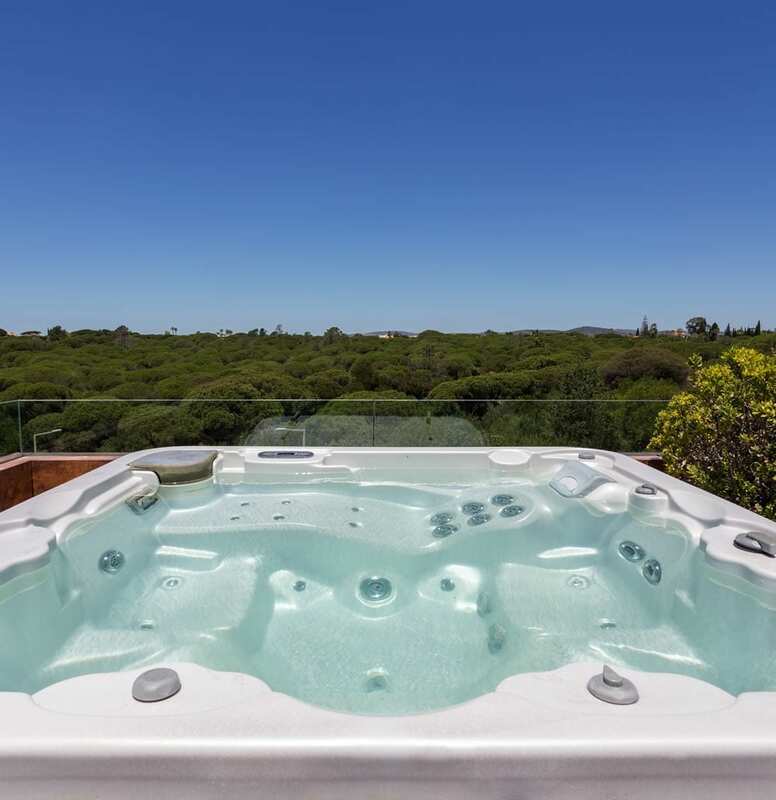 The hot tub control panel is automatically disabled until return of power, but the system will function to reset the time of day of each time of power-up. Hot tub settings will be preserved. Contact your store for the unit to be serviced. OHH or HH Stands for “Overheat” – and the tub shuts down. One of the sensors detected temperatures of 118°F (47.8°C) at the location of the heater. DO NOT GET INTO THE WATER. Take off the hot tub cover to allow the water to cool down. You can reset by pushing any button once the heater cools down. Verify that the knife valve located on the heater’s return side is closed—once verified it’s closed, be sure all the knife valves are in the open or up position. Shut the power down to the hot tub and call the Beachcomber store if the hot tub won’t reset. OHS or OH Stands for “Overheat” – and the tub shuts down. One of the sensors detected that the water in the hot tub is 110°F (43.3°C). DO NOT GET INTO THE WATER. Take off the Heat shield cover to allow the water to cool down. The hot tub should automatically reset for a temp of 107°F (41.7°C). Duplicate actions used for “OHH”. Shut the power down to the beachcomber hot tubs and call your store if the hot tub won’t reset. ICE or IC Stands for “Ice” – The system has detected a potential condition for freeze. No action is needed. The blower and pumps activate automatically in spite of the status of the hot tub unit. SY or STBY Means the hot tub unit has entered Standby mode. Check that the Microfilter is in place and secure before depressing any buttons to remove the hot tub unit from Standby. SnA or SA Means the hot tub unit has been shut down. The sensor plugged into sensor “A” jack is malfunctioning. Contact your store if you continue to see this problem. Keep in mind this error may display itself temporarily in situations of overheating. It should disappear when the heater cools off. Snb or Sb Means the hot tub unit has been shut down. The sensor plugged into sensor “B” jack is malfunctioning. Contact your store for the hot tub unit to be serviced if the problem continues. SnS or Sn Means that the sensors are not in balance. May just be a temporary condition if it is alternating with temperature. If this error code displays as periodical blinking, then it means that the hot tub unit has been shut down. Contact your store for the hot tub unit to be serviced if the problem continues. Follow action plan required for the error code “SnA”. For Dirty Microfilter: Go to GFCI or power disconnect and turn off the power. Take out the Microfilter and clean or replace it. For Air lock in the system: Find the thumb screws of the air bleed and open them partially to let out the air in the piping. When Hush Pump Has Debris: You can contact your store to service this or clean out debris yourself. To clean yourself: shut all the knife valves and then remove the Hush Pump’s face plate in order to remove the debris. Circulation Pump frozen or failed: If you suspect freezing has happened, put a space heater or trouble light in close proximity to the equipment in order to thaw out the external piping and pump. Contact your store for service. LF Means low flow problems are persistent. This error code will display the fifth time that the “HFL” message occurs within 24 hours. With this error, the heater will shut down, but other functions of the hot tub will continue to function normally. Take same action steps needed for the “HFL” message. The heating capacity of the hot tub unit won’t automatically reset, but you can press any of the buttons to reset manually. dr Means that there may not be enough water flow detected in the heater after the third occurrence of dr. code display Verify that all the knife valves are open. Next, check the hot tub’s water levels. If checks indicate the water level is adequate, ensure the pumps are been primed. You can press any of the buttons to reset manually. drY or dY Means that there is confirmation of inadequate flow of water detected after 7 sec. of heater tests. Take same actions steps used for dr. Ensure that the circulation pump is running. If it is not running, then contact your store for service. Pr This happens when the hot tub unit is actuated for the first time; eventually it goes into priming mode Priming Mode will go on for up to 4 min. and afterwards the hot tub unit will begin to heat & maintain the water temps in Standard Mode. –F / –C Means unknown temperature. The temperature will be displayed after pump runs for 2 min. Std/ St STANDARD Means hot tub unit is functioning in Standard Mode. No action is needed at this time. You can refer to the contents of the Heating modes page in order to modify this mode. Ecn/ Ec ECONOMY Means hot tub unit is functioning in Economy mode. No action is needed at this time. You can refer to the contents of the Heating modes page in order to modify this mode. SLP/ SL SLEEP Means hot tub unit is functioning in sleep heating mode. No action is needed at this time. You can refer to the contents of the Heating modes page in order to modify this mode. HL When “HL” error message displays, it means the system shut the heater down because temps at the heater reached 119ºF (48ºC).When “HL” error message is flashing, it means the system shut down because the water temps in the spa reached 112ºF (44ºC). In this condition, only Smart Winter Mode will remain active. DO NOT GO IN THE WATER. Remove spa heat cover to allow the water temp to cool down. You can then reset the breaker which will reset the system.DO NOT GO IN THE WATER. Remove spa heat cover to allow the water temp to cool down to 109ºF (43ºC). Call your service supplier or dealer if problem continues. FLO Means that the system doesn’t detect any water pressure while pump is running. Check water level and open the water valves. Clean the spa filter or replace the spa filter if needed. Call your service supplier or dealer if problem continues. FLC The system has identified a problem with the pressure switch. Call your service supplier or dealer if problem continues. Prr The system has identified a problem with the temperature probe. Call your service supplier or dealer if problem continues. – – – – Breaker Setting for the Low Level Programming isn’t set to corresponding power or the breaker is used to operate the spa. FREE Free Protect error message is scrolling. Means that water temps in spa unit fell below 45º degrees. The pumps will then heat the spa unit until water temp achieves 45º degrees F. To clear the error, you may need to reset the breaker. ——- Stands for Temperature unknown. This happens when you initially start your hot tub. After the pump and system has been operating approximately 2 minutes, you will see the temperature displayed. HH “Overheat” – The spa hot tub shuts down. The sensors have detected 118°F or greater in the heater. DO NOT ENTER THE WATER. Remove the spa hot tub cover and let the water cool down. After the heater has cooled down, you must reset by pushing any of the topside buttons. If your spa hot tub does not reset, shut the power off on the spa and call a dealer or service person. OH “Overheat” – The leisure bay spas shuts down for this error. Also, the sensors will detect that the hot tub water is 110°F or greater. DO NOT ENTER THE WATER. Remove the spa hot tub hard cover and allow water to cool off. Once the spa cools down to 107°F, the tub should reset on its own. If the hot tub does not reset, turn off the power to the spa and call your dealer or service company. IC “Ice” – This is a Potential freeze condition detected No action is required at this time. The pump and blower will activate regardless of spa status during this error. Sn Sensors are out of balance or not working properly. If alternating with spa temperature display, it may just be temporary. Also, if flashing by on its own, the spa will shut down. If the error continues, contact your dealer or service company. HL A difference between temperature and the sensors is detected. This could be a flow problem. Check the water levels in tub. Top up if needed. If the water level is okay, check to see if the pumps are primed. If the error persists, contact your dealer or service company. LF Continuous low flow. (Displays on the fifth occurrence of “HL” error within a 24 hour cycle.) Heater is shut down, but other spa functions may continue to run normally. Follow steps required for “HL” message. Heating capability of the spa will not reset automatically; you may press any button on the topside to reset the tub. dr Possible low water levels, poor flow, or air bubbles are detected in the heater. Also, the Spa hot tub will shut down for 15 minutes. Check water level in hot tub. Top up if necessary. If water level is okay, check to see if the pumps are primed. Press any button on the topside control to reset, or the message will automatically reset within 15 minutes. If problem still remains, contact your dealer or service company. dy Inadequate water detected in heater. (Displays on third occurrence of “dr” message.) leisure bay spas is shut down. Follow action required for “dr” error. Spa will not automatically reset. Press any button to reset. ST Your spa is preset to this mode. This mode operates the heater whenever needed to maintain the programmed spa water temperature. (See Temperature Adjustment). EC This mode operates the heater only during programmed Heating Cycles (See “Setting Heating Cycles” below). Also, this mode is ideal for areas that charge a premium for electricity during peak hours. This mode will maintain the thermostat setting. If it does not reach the thermostat setting, you may have to allow for more heating time by increasing the Heating Cycles. SL This mode works in the same manner as the Economy Mode except the thermostat setting is automatically lowered by 20 degrees. This mode is best suited for extended leaves from home and also when it is not important to maintain constant water temperature, such as vacations or business trips. Follow these proactive maintenance steps in order to preserve the lifespan of your hot tub or spa. Have questions? Get in touch with someone from our team here. Rinse the underside of your hot tub cover frequently with a garden hose to keep algae, mold, and mildew at bay. Use an instant filter cleaner spray each month to break up oil and other stubborn buildup. Always keep your hot tub covered when not in use to keep debris out and to more efficiently maintain water temperature. Keep detergents and soaps out of your spa by showering with water only before getting into the hot tub. Drain and refill the hot tub as recommended in your owner’s manual to keep your water fresh. Use only the chemicals and cleaners your dealer recommends for your hot tub model. Pool chemicals and other products can throw off your water balance and lead to damage down the road. Purchase authorized Hot Spring parts from your dealer to ensure that you’re outfitting your spa with quality, lasting components. Keep your spa’s serial number on hand in case you need to reference it for more troubleshooting advice or official parts and repairs.